Nishi Enterprise is a trustworthy designer, manufacturer and leading supplier of Plummer Blocks in India. We offer products that are known for their excellent quality and can be used for a broad range of applications. We also make sure that our Plummer Blocks are in compliance with various international quality standards which make them perfectly suitable for various projects. 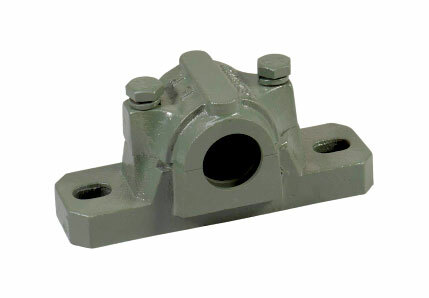 The Plummer Blocks that we have to offer come with the added advantage of excellent tensile strength and corrosion resistance. Moreover, we can provide our clients with customized Plummer Blocks that come in a wide range of patterns, shapes, models and sizes which can then be used different types of applications. We regularly work with C.I. graded and standard castings, steel, MS as well as numerous other materials that make them suitable for specialized projects. We also have the best working team with us with experts who have been producing such products for a long time. These experts are well aware of the functioning of the Plummer Blocks and they can produce units that can withstand the diverse challenges and critical issues that are actually common in an industrial working environment. At Nishi Enterprise, we always maintain the highest quality of products and services so that our clients are always happy. Here are some factors that make us a class apart in our industry. 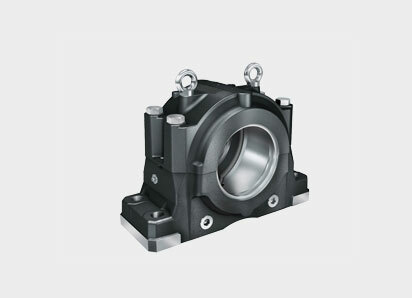 We always implement extensive quality control practices so as to make sure that all the Plummer Block units are designed and crafted to meet the customer requirements. We always stick to the best industrial practices and follow all international standards so that our clients in all parts of the world can benefit from using our products. We are known for our high level of competence such as in-depth skills, technical knowledge and experience in manufacturing such products. Ever since we first came into this industry, we have been designing and manufacturing top grade Plummer Block components and have enhanced our efficiency over the years. We procure our raw materials from the best sources and then assemblies, components and products that can work well for our end users. We also carry out numerous performance tests so as to make sure that our products are also to deliver the right kind of services at all times. We also deliver custom designed Plummer Block products that can be useful to our clients in more ways than one. It is such efficiency that has made us the number one manufacturer of Plummer Block products in India.